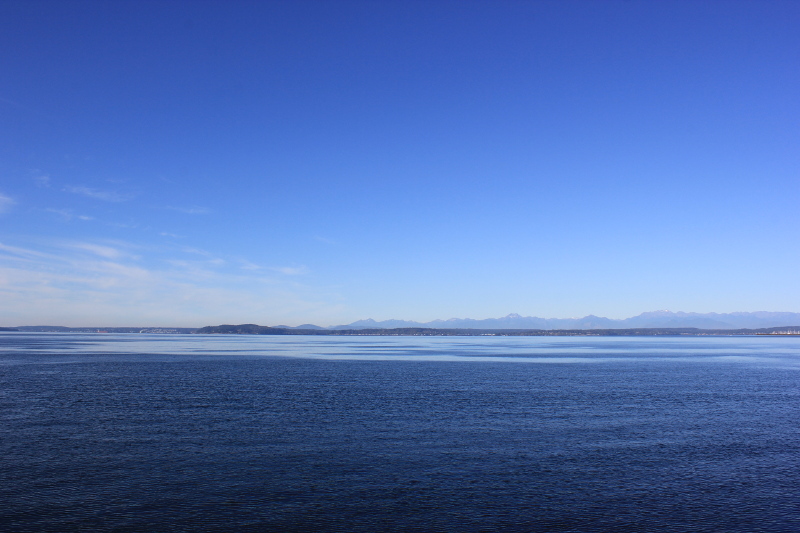 We had a couple of nights in Seattle arriving around lunchtime. The drive in was pretty good with no major traffic delays, not like we’d been expecting and the weather had returned with blue skies and sunshine. We dropped our hire car off right in the city a block away from our hotel, left our bags at the hotel and headed straight for the Columbia Centre passing the library building en route. 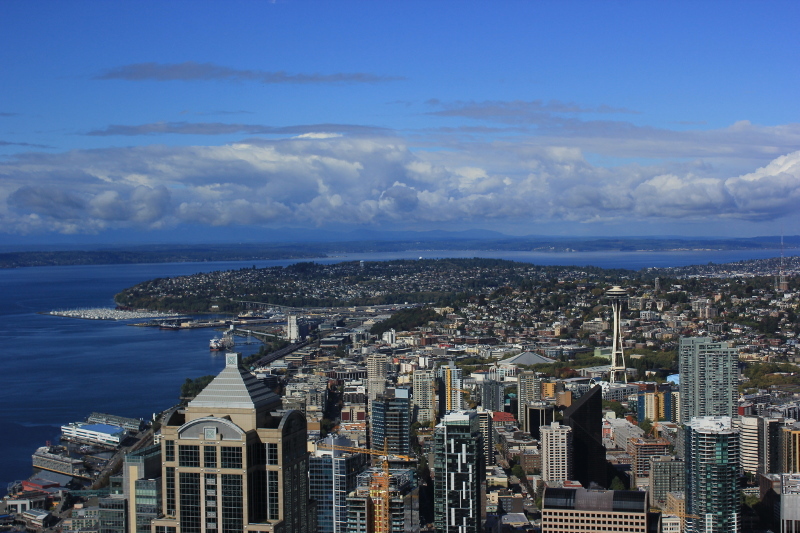 The Columbia Centre is the tallest building in Seattle and the view from the Sky View Observatory gives amazing views of the city, the Space Needle and Mount Rainier. It’s very similar to ‘The Top of the Rock’, the roof of the Rockefeller Center we visited when in New York at the end of our New England tour, which gave great views of the city, Grand Central Park and the Empire State Building. 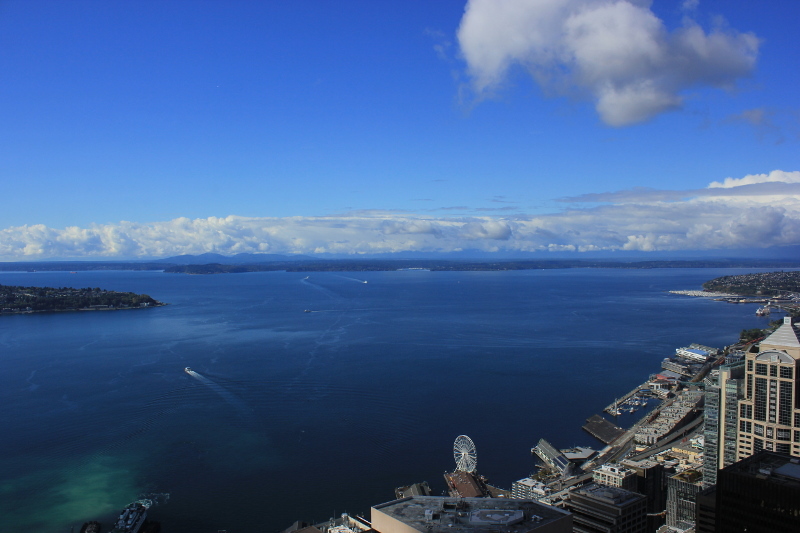 Seattle from the Sky View Observatory at the Columbia Centre, WA. From here we wandered around Seattle Old Town, Pioneer Square, Smith Tower and visited the Klondike Gold Rush museum which had some interesting exhibits. 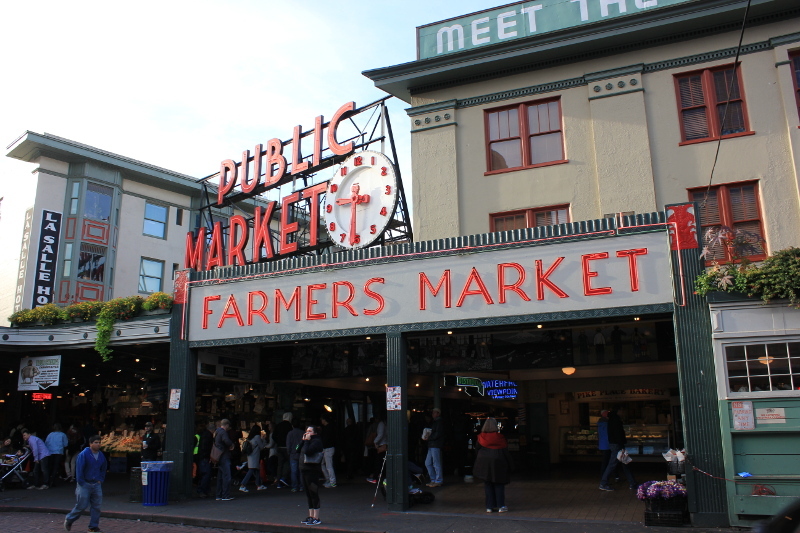 We then headed over to the Pike Place market area and wandered by the original Starbucks just down the road from the main entrance. As the guidebook said, this place was packed with people waiting in line to go inside. As the sun was setting we decided to head back to the Columbia Centre for another visit to the top to view Seattle as the sun set. 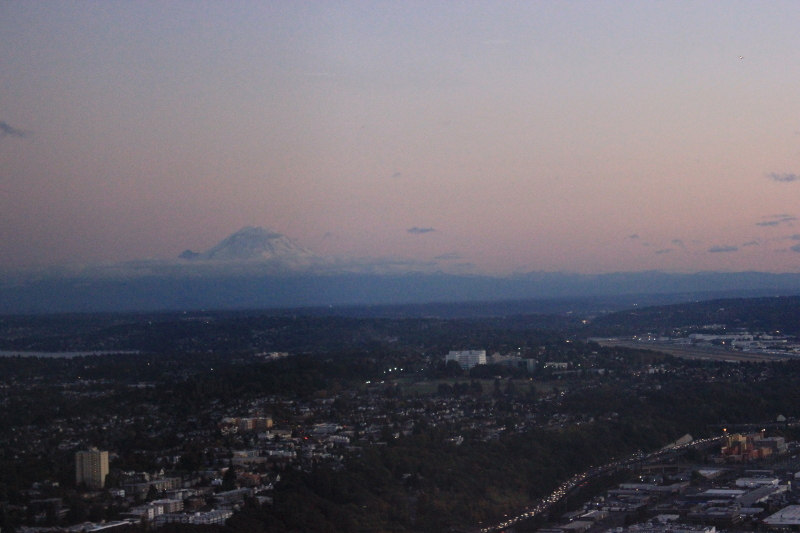 Mount Rainier at sunset from the Sky View Observatory at the Columbia Centre, WA. 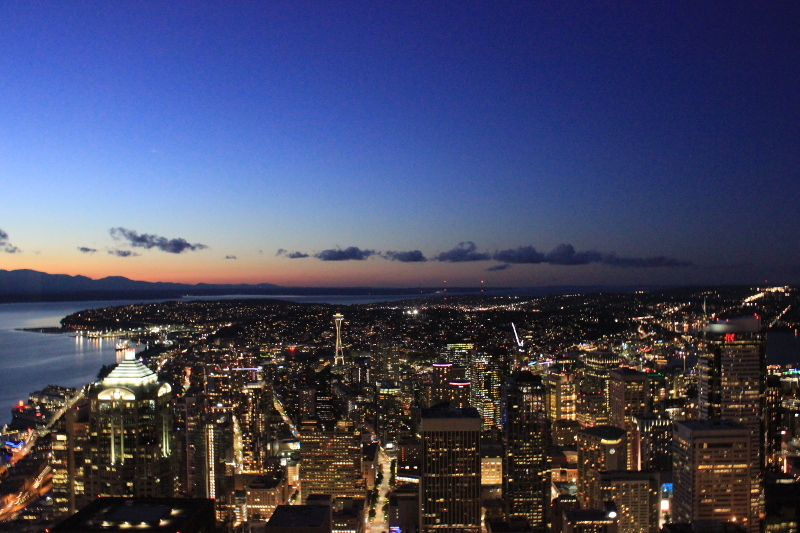 Seattle at night from the Sky View Observatory at the Columbia Centre, WA. 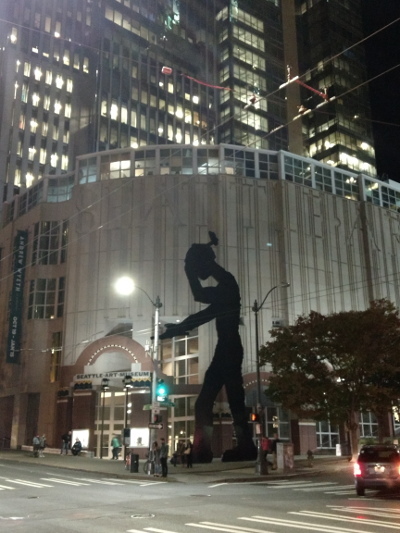 Walking back to our hotel we took a diversion to see the Hammering Man, one of a series of monumental kinetic sculptures installed in various cities worldwide. 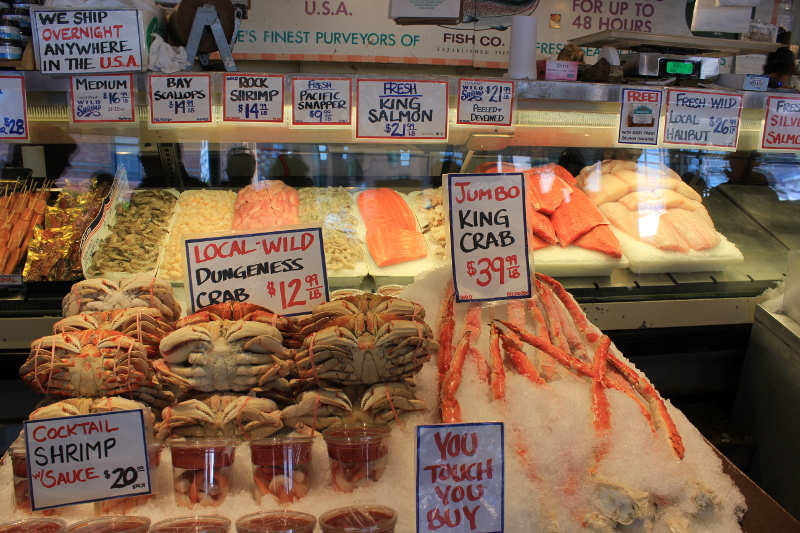 The next day we headed to Pike Place market early for a proper wander before the crowds. It’s very touristy and not somewhere we’d re-visit. 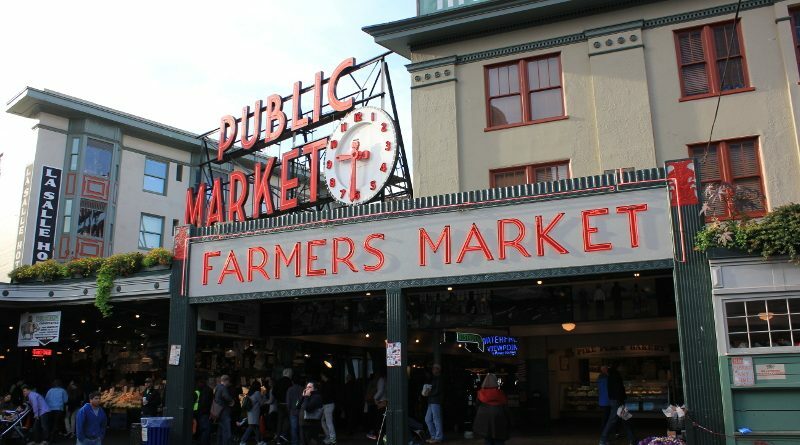 The entrance to the Pike Place Market, Seattle, WA. 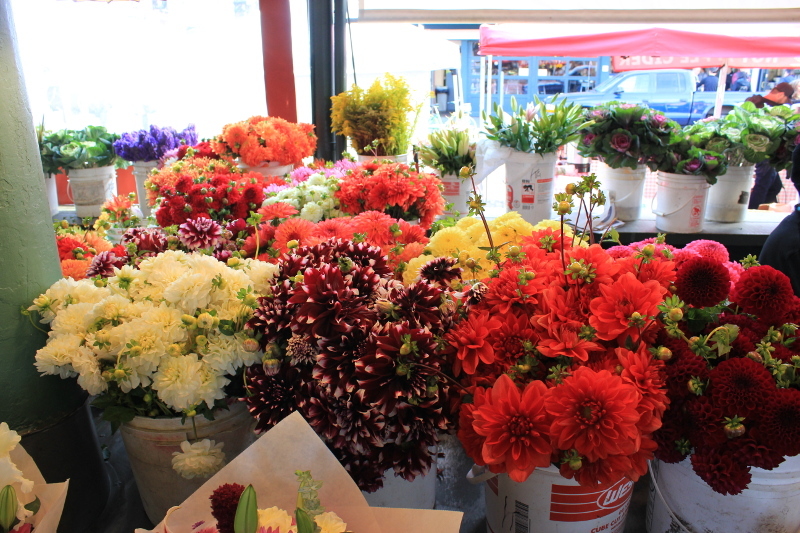 Inside Pike Place Market, Seattle, WA. 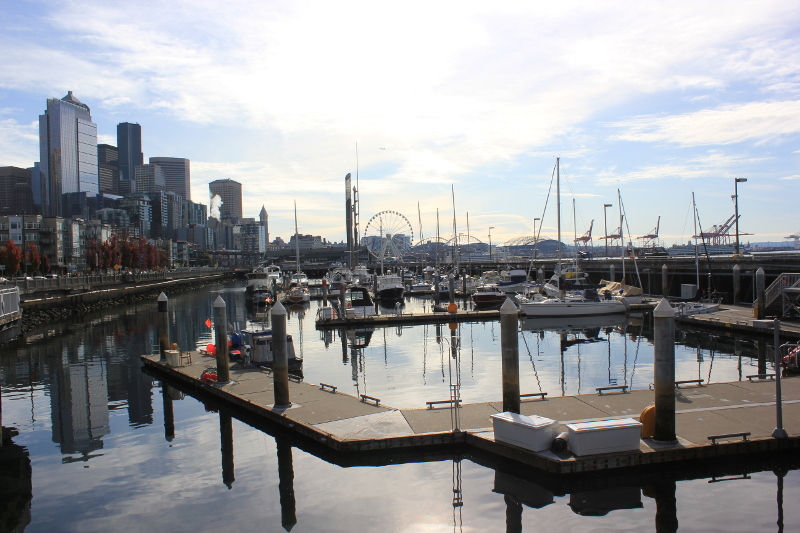 Then we walked along the Alaskan Way waterfront which was very nice and quiet and over to the Olympic Sculpture park and Myrtle Edwards Park which gave you great views of the container ships and railway sidings close up. 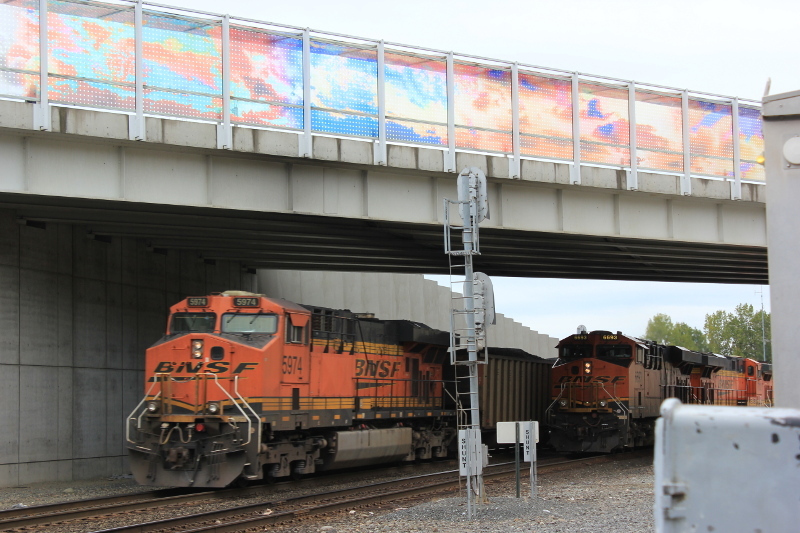 Trains on the waterfront in Seattle, WA. 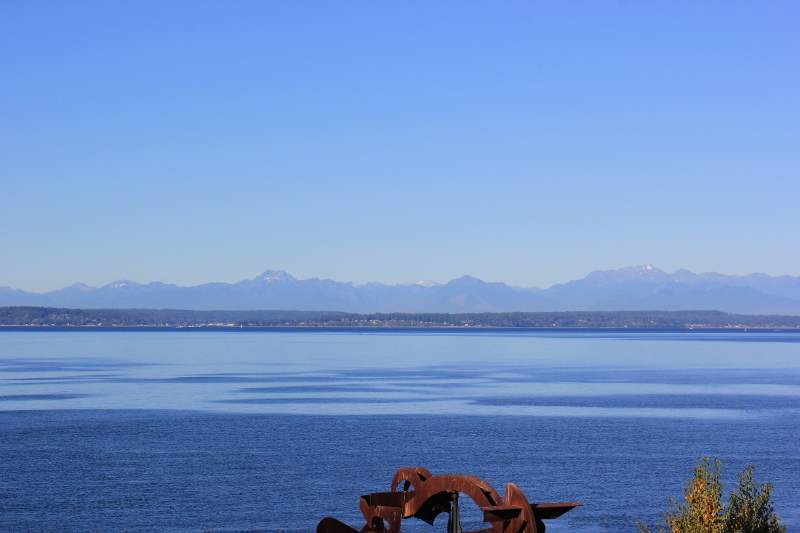 View from the waterfront in Myrtle Edwards Park, Seattle. 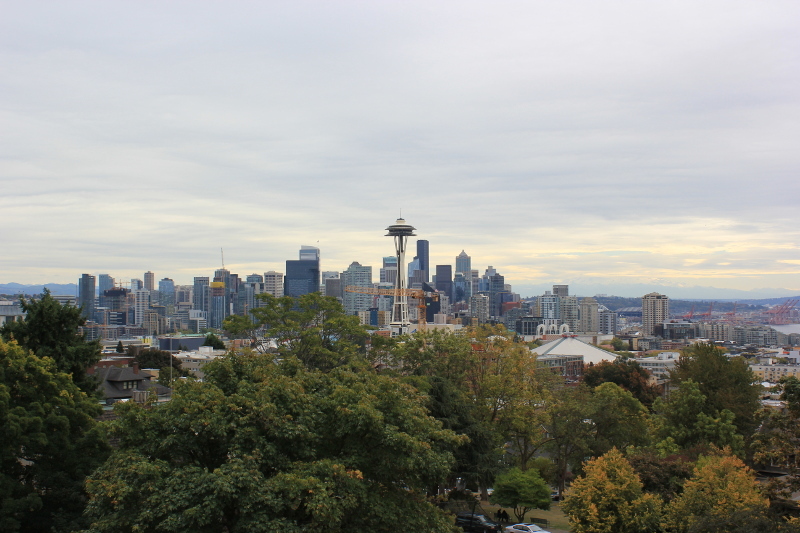 Carrying on on our walking tour we headed back inland towards Kerry Park, a popular postcard view of Seattle. In doing so we came across the Fuji Bakery, delicious cakes and highly recommended. 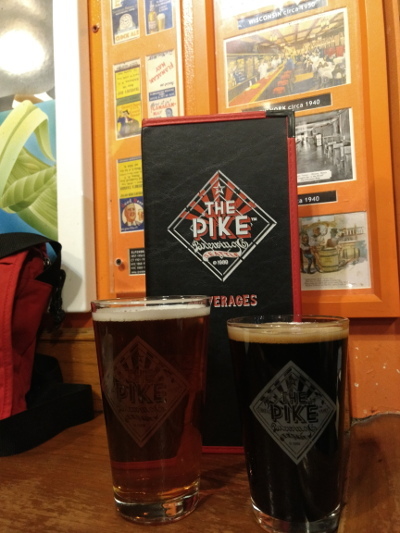 The Pike Pub at Pike Place market, Seattle, WA. Seattle was an interesting city to visit. There appeared to be alot of poverty and homelessness throughout the city, alongside large scale re-developments. Our two nights was ample for us, finding ourselves with spare time was a novelty! That concluded our Pacific Northwest & Canada tour of 2017. We had an absolutely fantastic trip covering just over 3000 miles!